Borussia Dortmund are still in the hunt to finish a distant second to champions Bayern Munich, as they travel to the Weserstadion to face Werder Bremen. With just three games to go though, this is a must-win for the visitors if they want that runner-up spot. Last time: Bremen recorded a shock win at the Westfalenstadion back in December, with Maximilian Eggestein and Theodor Gebre Selassie scoring for the visitors either side of a Pierre-Emerick Aubameyang equaliser. Bremen’s victory in Dortmund earlier this season was even more of a surprise considering it ended a run of five straight wins for Die Schwarzgelben. After losing the grudge match against Schalke the weekend before, Die Borussen are a wounded animal and will look to take their frustration out on Sunday’s opponents. Peter Stoger’s side are two points behind Schalke, who allowed their Ruhr valley rivals back into the race for second by drawing at bottom club FC Koln in their last game. Dortmund smashed four past Bayer Leverkusen on Saturday, with young Englishman Jason Sancho opening the scoring and putting on a superb performance. It was a good response after criticism from the Yellow Wall, with Der BVB showing plenty of the attacking verve that’s often been missing this term. The away side could welcome back Shinji Kagawa, Andre Schurrle and Raphael Guerreiro for this one, but even without Michy Batshuayi they start as favourites and are priced at evens. Bremen head coach Florian Kohfeldt meanwhile could be without as many as nine players for this tough assignment. Florian Kainz and Philipp Bargfrede are suspended, while Fin Bartels, Justin Eilers, Luca Caldirola and Ole Kauper are among the injury concerns. Yuning Zhang, Ludwig Augustinsson and Michael Zetterer are closest to a return for the hosts, who are available at 27/10. Still not mathematically safe, a point would be a good result for Bremen. The odds on that are 3/1, although it’d be a massive surprise if Die Werderaner find themselves in trouble with a seven-point gap to 16th-placed Freiburg. With the visitors gunning for second spot, a score draw would be most likely if the game ends in a stalemate, and that’s 4/1 in the betting. 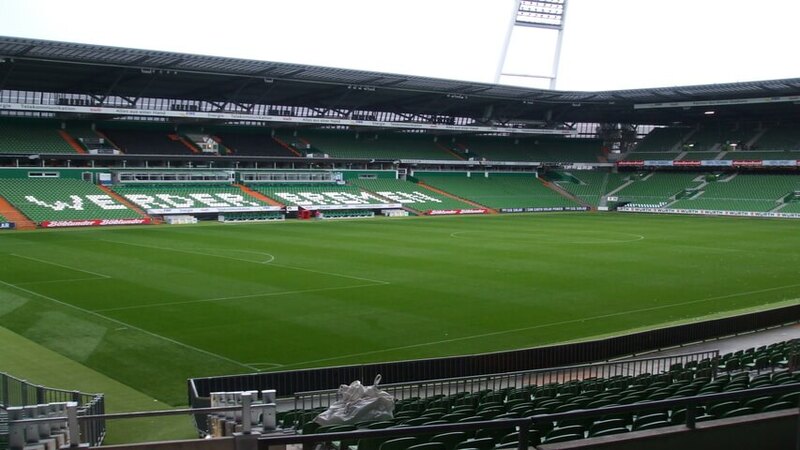 One to watch for Werder Bremen: The single goal each that Maximilian Eggestein and Theodor Gebre Selassie scored against Dortmund earlier in the campaign makes up half of their totals for the season. At 18/1 and 22/1 respectively, they’re both outside bets to break the deadlock on Sunday. One to watch for Borussia Dortmund: It felt like Jadon Sancho really arrived as a Dortmund player last weekend, with a superb all-round performance and a goal to match his silky touch and threatening pace. He’s 17/2 to open the scoring for the second time in two games. Long shot: Dortmund were 2-1 winners at the Weserstadion last season, and a repeat of that scoreline is priced at 17/2. Add in Sancho as the first scorer, and your odds increase to 50/1. After his brace against Leverkusen, it’s 33/1 with Marco Reus to score first.